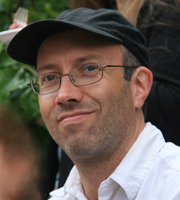 Caleb Scharf is the director of the Astrobiology Center at Columbia University and has written for The New Yorker, New Scientist, Science, National Geographic, Scientific American, and Nature, among other publications. He has been a keynote speaker at the American Museum of Natural History and the Rubin Museum of Art in New York, and has served as a consultant for the Discovery Channel, the Science Channel, The New York Times, and others. He is the author of Extrasolar Planets and Astrobiology, winner of the 2012 Chambliss Astronomical Writing Award from the American Astronomical Society. He lives in New York City with his wife and two daughters. Follow Caleb Scharf on Twitter and Facebook.